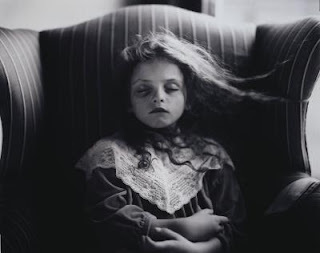 Sally Mann was born May 1, 1959. 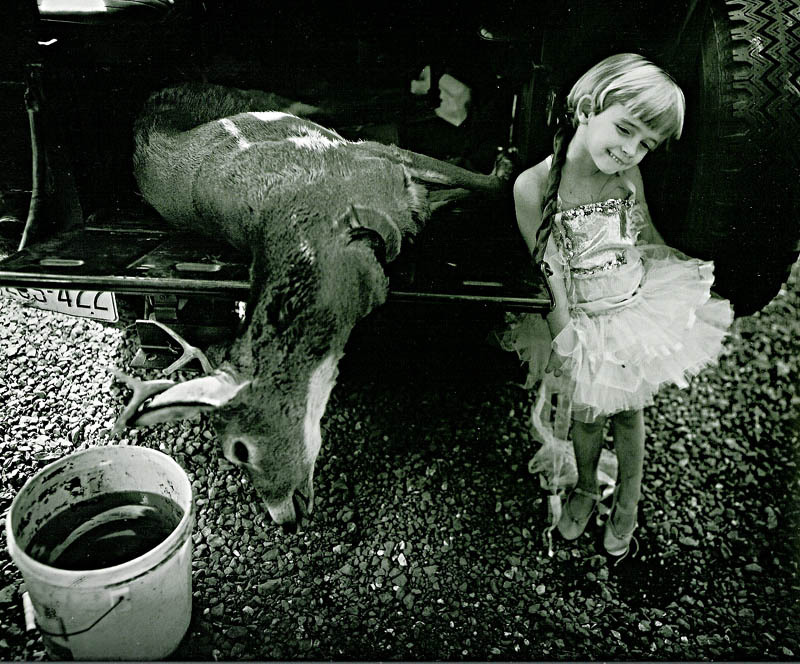 She is known for her photographs of her young children as well as landscape portraits. I believe that "The Black Eye" is so successful for me simply because of the wingback chair and the shapes, shadows, and lines it creates in the picture. This photo definitely doesn't look like it was taken in the 90's, but perhaps the artist set it up to look that way. "Jessie And The Deer" is also visually interesting because of the small pretty girl in a Sunday dress posing next to a dead deer. We can probably guess that she lives in the country. However, even though she is standing next to such a sad thing, she is still posing and smiling for the camera. This shows a state of normalcy for her, as she seems to be unaffected by the situation.